The Headless Horseman rides again every weekend in October at INDIANA FEAR FARM with ALL NEW thrills and chills in our Hollywood Style Haunted Hayride Stunt Show! 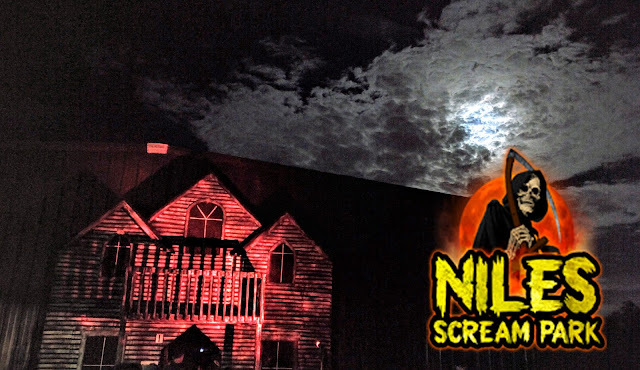 Blood curdling new chills await you around every corner as you Scream your way through the Slaughter Barn! If you want FEAR, If you want FUN, If you want a FULL EVENING of LIVE ENTERTAINMENT, you get it ALL for one low price at INDIANA FEAR FARM! Your just minutes away from.... FARM.... FRESH.... FUN!